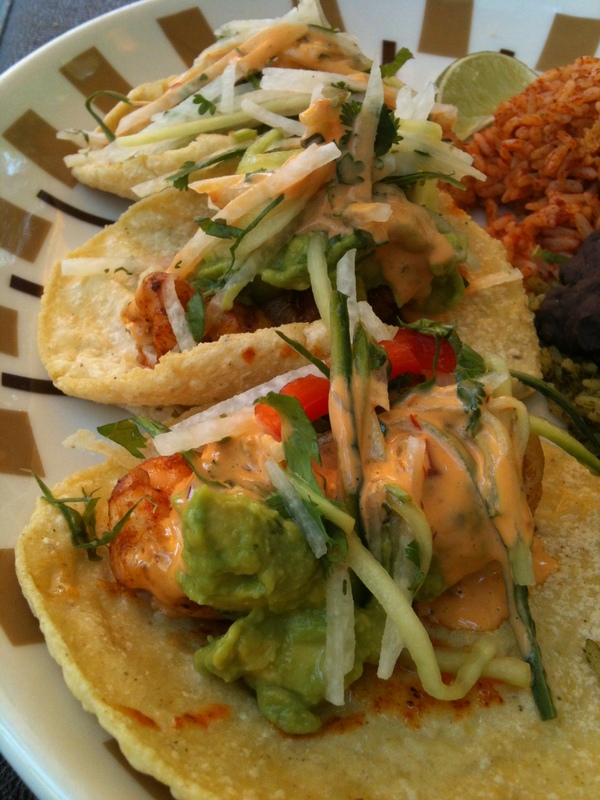 restaurants: border grill las vegas | eat. drink. fly. 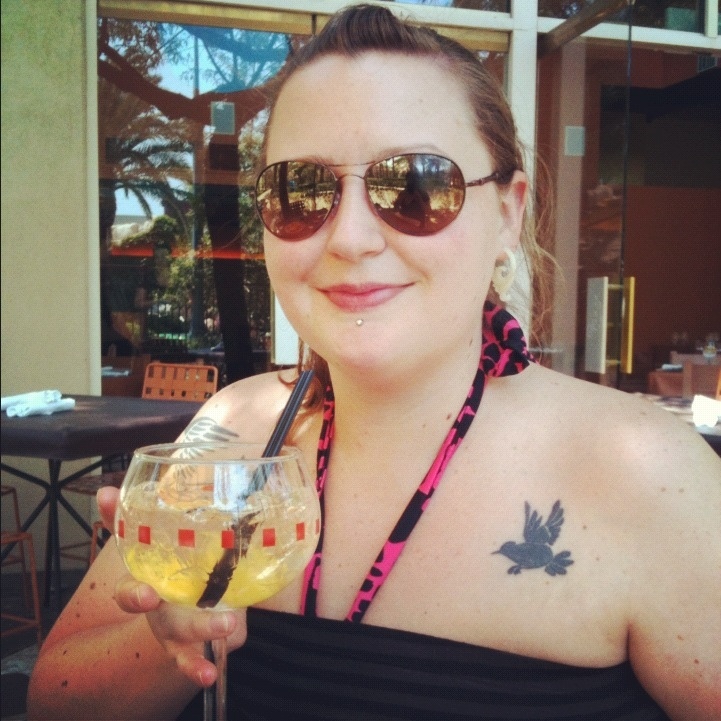 border grill in mandalay bay has been my favourite place to dine in las vegas since my husband (then – boyfriend) stumbled across it on our very first trip to las vegas. 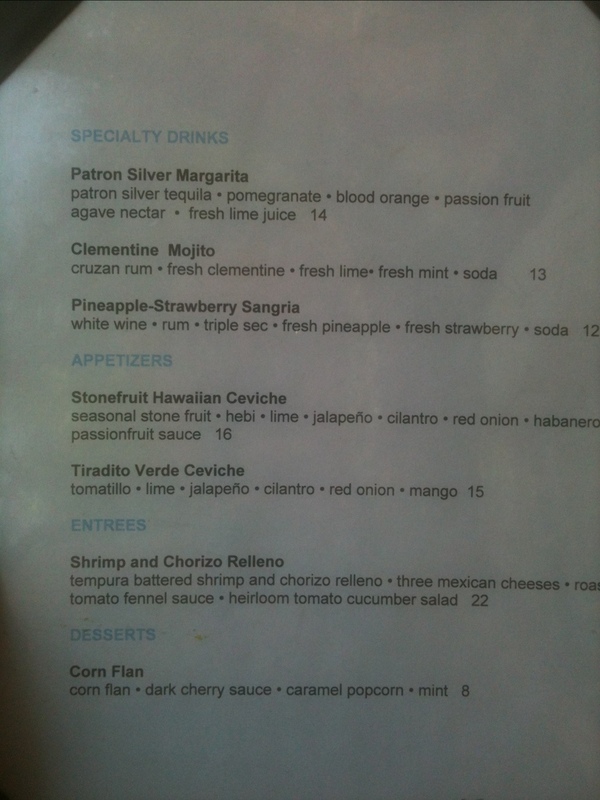 we were walking to the shark reef and saw the cantina and decided on a whim to stop in for a margarita. we started noming on chips and salsa and realized we were kind of hungry, so we ordered tortilla soup. not just any tortilla soup… the best one i’ve ever had in my life. since then, susan feniger has made appearances on top chef all stars, doing quite well for herself. and its no surprise, her cooking is masterful. the restaurant itself has two lovely outdoor areas. one upstairs that is covered and i’ve dined in a few times, and also the downstairs outdoor patio that housed my wedding reception. 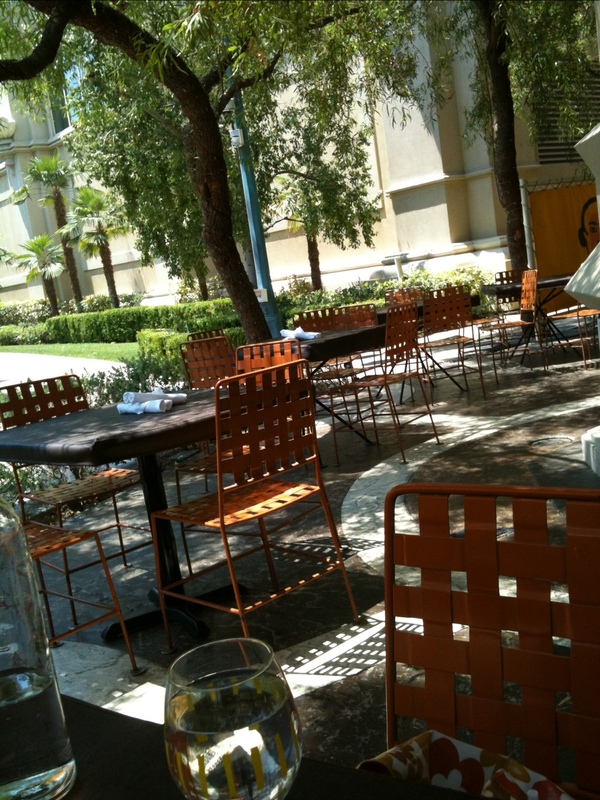 outdoor areas for dining are a rarity in vegas, so i always make note of them for my lists, as i love al fresco dining. as if the regular menu choices don’t cause me enough distress with all the yummy options, their specials menu gets offered to me. 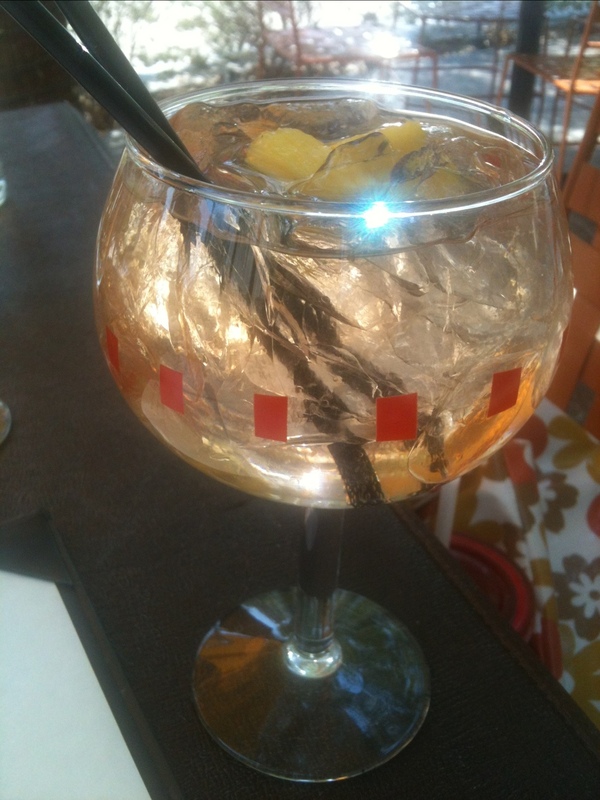 well, obviously the pineapple strawberry sangria needs to get in my mouth. my mom went with the patron silver margarita, and said she preferred the one at hussong’s because it was simple. of course, she ordered one with blood orange and other stuff, so its obviously not comparing apples to apples. 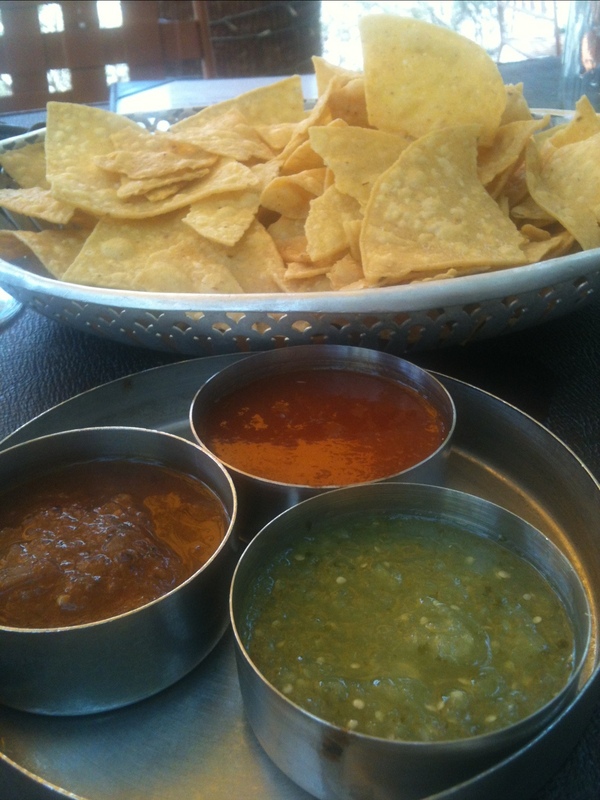 while we were waiting for lunch, we enjoyed the chips and salsa… i love their salsa. all 3 of them. they haven’t changed the recipes in years and i love them for it. its perfect. not to be messed with. for the meal, we both decided on tacos, since it was lunch time and we were hungry, but not starved and wanted something kind of light since we were headed back to the pool. 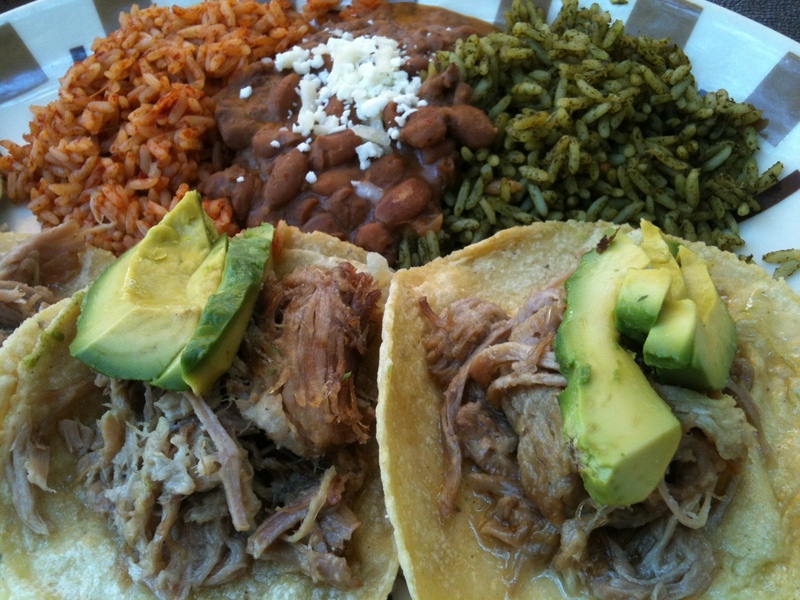 i went with the carnitas with no onions. because it was supposed to have guacamole on it which contained onions, they just put avocado slices on it for me. which worked perfectly. you have the option of pinto beans or black beans and i went pinto. 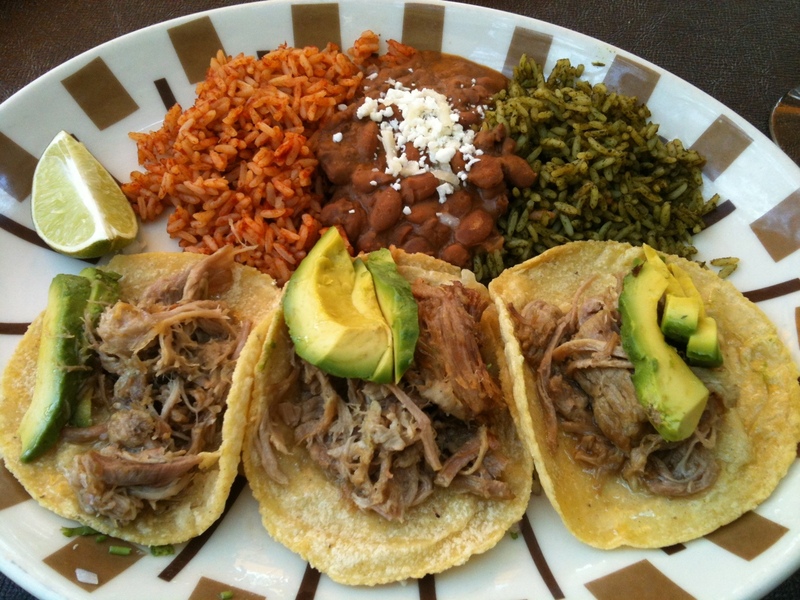 my tacos were delicious and the pork cooked to perfection, although they were a little greasy. they could have been drained a little better before going on the tortillas. but in terms of flavour, preperation, tenderness, ect, top notch. 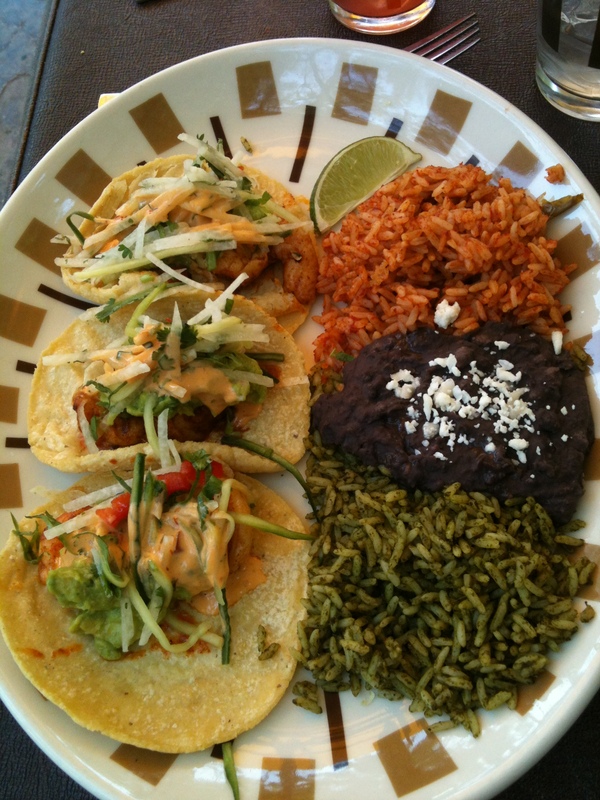 my mom went with the shrimp creole tacos and they were WOW. she had black beans, also good, but i still stand by my pinto bean decision. my mom’s shrimp was cooked to perfection and the slaw on top was crunchy and provided a great contrast for the rest of the taco. we agreed that these were the superior choice between mine and hers. stuffed to the brim, we headed back to pool for a lay down. thanks for yet another amazing meal border grill. i’ll see you next time. Don’t they still do cooking shows during the day?